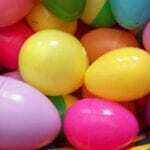 Thanksgiving is all about turkey, stuffing and giving thanks for all that we are thankful for. 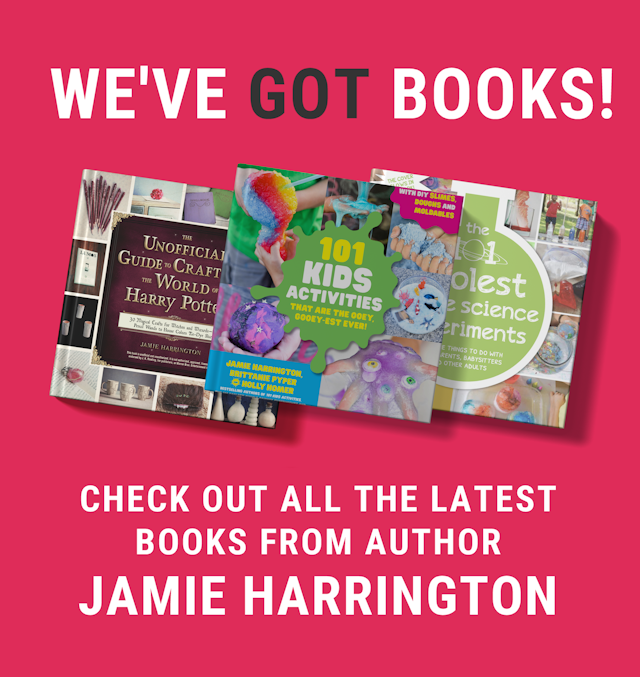 While I’m busy cleaning the house, mashing potatoes and stuffing the turkey I like to have a little something to keep the kids busy (and from undoing whatever cleaning I’ve done!) 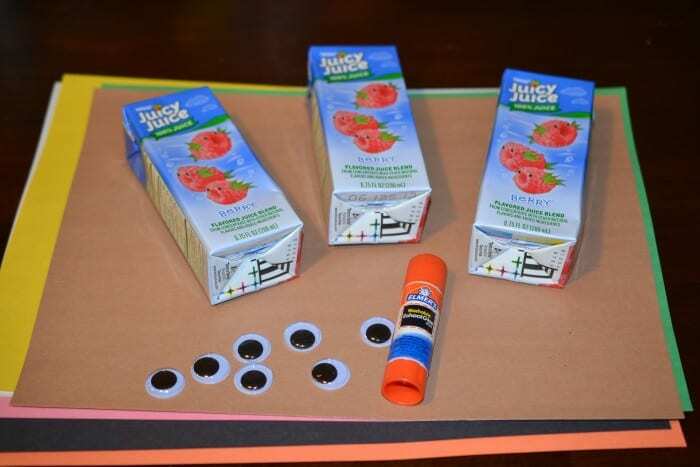 These sweet little turkey juice boxes are fun, inexpensive and a great way to keep little hands busy! Start with a brown sheet of construction paper. 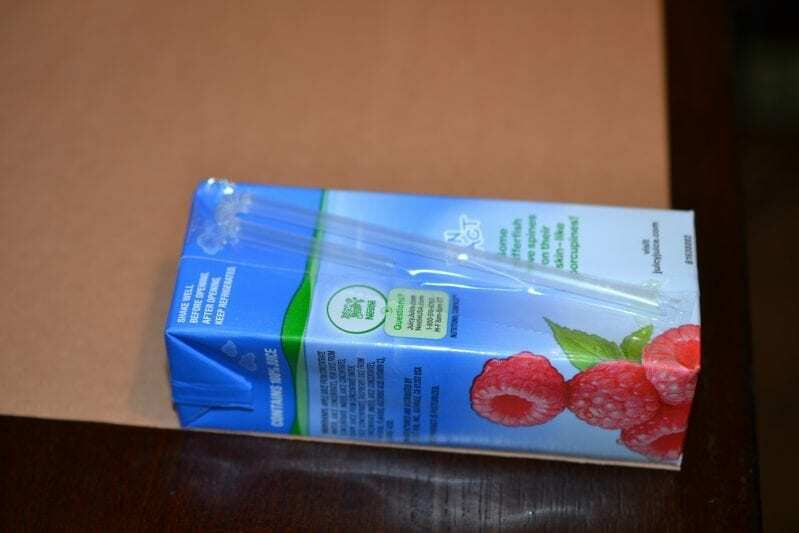 Lay your juice box on top to ‘measure’ enough paper to go all the way around. 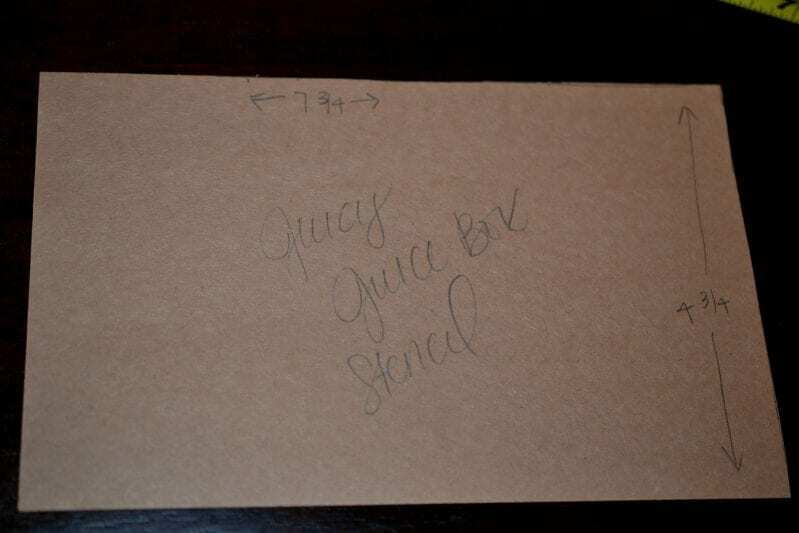 I used a Juicy Juice Box and my sheet ended up being 7 ¾ x 4 ¾ inches. Cut your rectangle out. 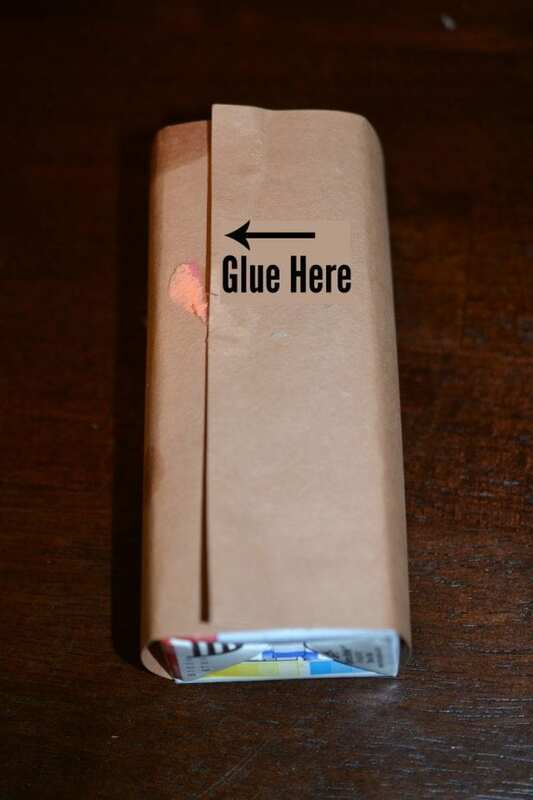 Wrap your juice box with the paper and glue. 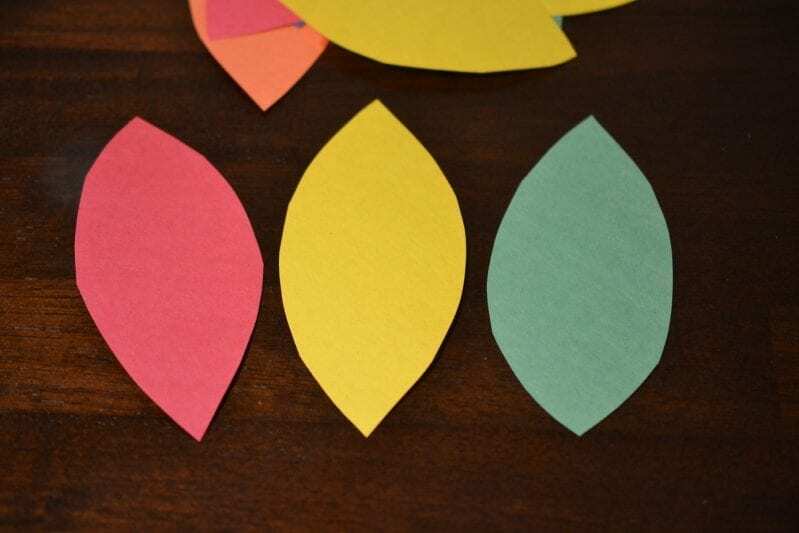 Out of the orange construction paper, cut an orange triangle. With the red construction paper, a small squiggle shape to be the turkey’s wattle. Turn your juice around and on the front, attach two googly eyes, beak and wattle. 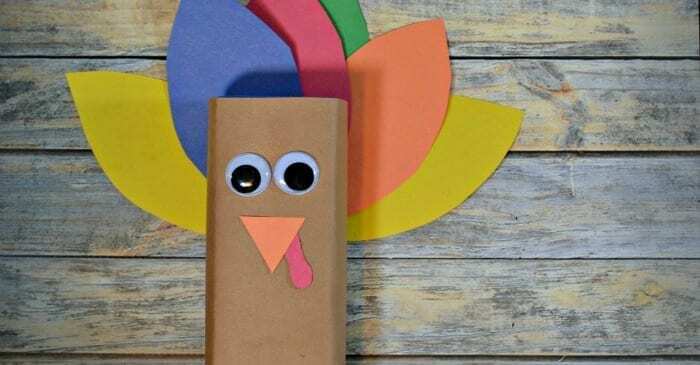 This DIY is perfect for any Thanksgiving party at school or for scouts. To make it easier, prepare the juice boxes with the brown paper and have the feathers, beaks and wattles pre-cut for the younger kids. 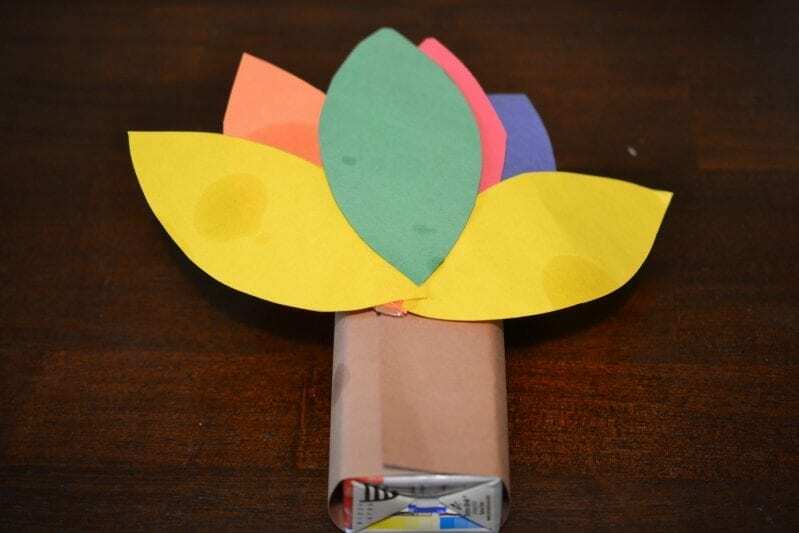 This is also a great project to make for your Thanksgiving kid’s table festive. Stamp each child’s name on their turkey juice box to mark their seat. 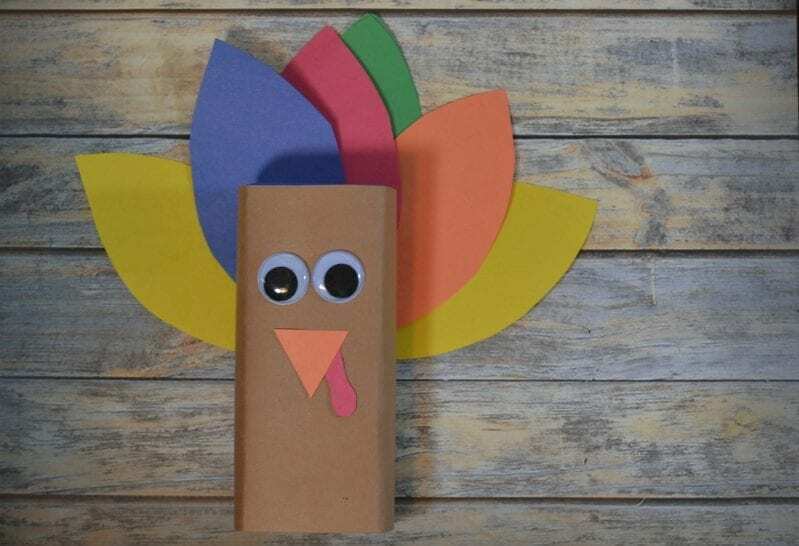 Whether you make these sweet turkeys for a school party or to keep the kids busy at home, this project is a winner!